Crown molding goes a long way in making a room look finished and classy. It provides an attractive line of demarcation between wall and ceiling and it can also add value to a home. Think that sounds a little far fetched? Consider that architectural moldings of any type communicate a sense of distinction and quality; they are a small but important indication that a home is well constructed and that care and consideration has been given to even the smallest details. 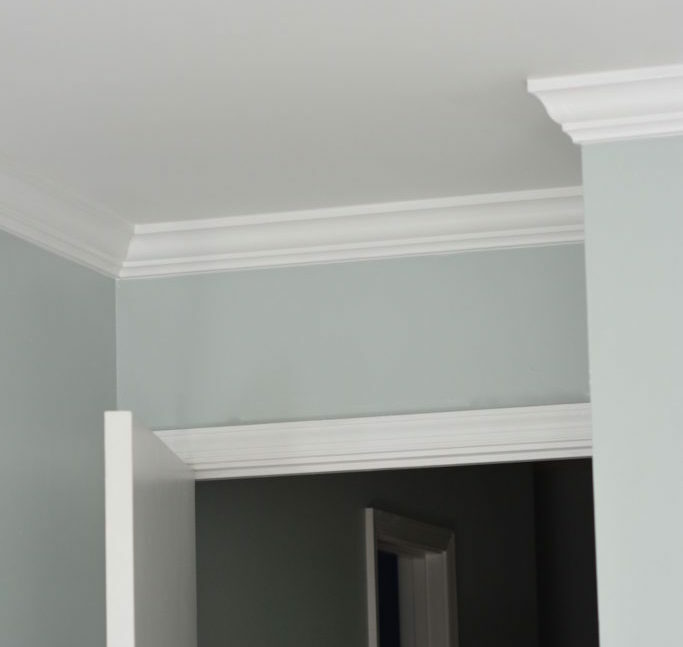 Modern crown molding is no longer the expensive proposition that it was in the days of our great grandfathers. Back then the finest moldings were invariably hand milled from high quality wood. Today a trip to the local home improvement center will reveal crown molding in PVC, pine and MDF among other options and at a far lower cost. Of course, even if the materials make the project cheaper, that stuff still costs a fortune to install, right? Wrong. At least not according to Serena over at Thriftdiving.com. She decided to buy then install crown molding in her bedroom herself rather than hiring out the job. While an avid DIYer, Serena was no expert, she was however willing to do her research and is not daunted by a challenge. Click here for more bedroom decor ideas. 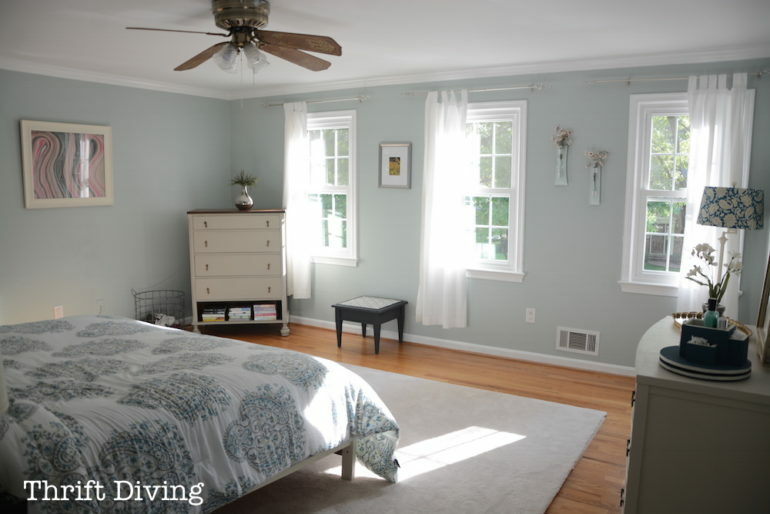 She carefully calculated how much molding would be required to complete her bedroom project, adding at least 10% on to the total footage required to her estimate. Why? Because errors are inevitable in this type of installation and it is better to buy too much molding than not enough. You’ll hate yourself if you end up with a huge gap at the end of the project because you didn’t plan for mistakes! Armed with her measurements, she drove to the local home improvement store and settled on an MDF crown molding that cost all of $1.35 per foot available in 16 foot sections. Because she had to get her raw materials home in the family car, she ended up having to cut those lengths down while still in the store. Those with long bed trucks or who opt to have Home Depot or Lowes deliver their purchase will be able to avoid that hurdle. Serena found that she needed some special tools to accomplish the task she set before herself; including a device that measures the angles of corners, and another, a dedicated crown molding tool jig, (a device that secures the molding while it guides the tool that is cutting it). Aside from the usual measuring tapes, hammers, nails and caulk guns, she had to utilize a mitre saw and a stud finder, the latter because you must attach your crown moldings to existing studs in the wall or risk them sagging and failing due to inadequate anchoring. 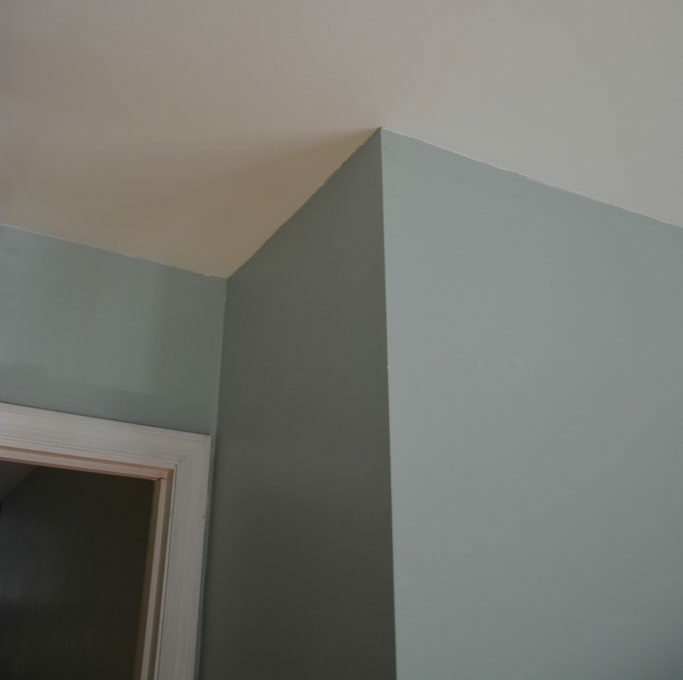 Serena provides a wealth of step by step photographs and makes available her free guide “How to Put Up Crown Molding Like a Novice” , a 52 page primer that no DIYer should be without. Unafraid as she is to be a rookie undertaking a challenging job, she provides inspiration to us all.